Save the Date…Girls Night Under the Stars! 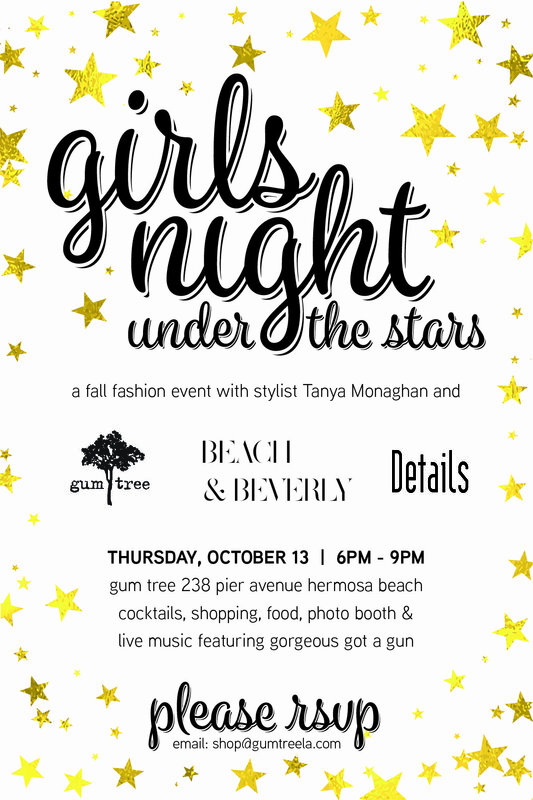 Make plans to join us here at Gum Tree as we celebrate all things fall fashion with our neighbors Beach & Beverly and Details, and fabulous Fashion Editor Tanya Monaghan AKA @thekayagirl. Wine and shopping, live music, a photo booth, and friends…what could be better?